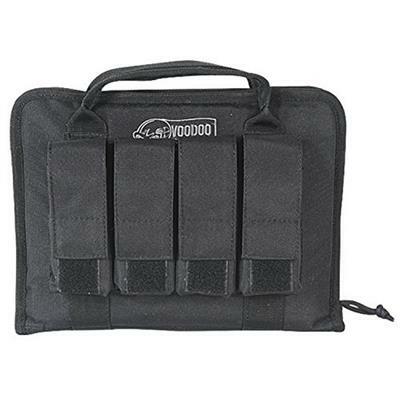 VooDoo Tactical 15-0171004000 Single Weapons Case, OD, 44"
Our newest pistol case has full interior padding and will accommodate two hand guns. The four outside Mag pouches will adjust to hold oversize magazines. Full nylon self-repairing zipper and wrap around handles.